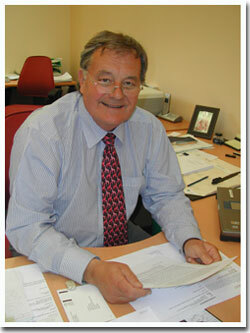 D J Turfcare is a family business owned by me - David Jenkins - and my family. I firmly believe that the qualities of care, dedication and ethics - intrinsic in a private concern - combine to offer our customers very high levels of service and support. This is the cornerstone of our company. I have been inextricably involved at a senior level in the turf equipment industry for more than 33 years – time that has been thoroughly enjoyable and full of challenges and opportunities. The experience gained over these years has helped me accumulate a profound understanding of the needs of professional users and my hope is that I can, through DJ Turfcare, share some of this knowledge with groundsmen, greenkeepers and landscape contractors. Whether our customer contact is face to face, by phone, letter or internet, DJ Turfcare strives to make the relationship as personal as possible so that, between us, a mutually rewarding partnership can be formed. At Dunsfold we have a no-nonsense approach to business. We have assembled a range of durable products that deliver customer satisfaction and we combine that with advice, after sales service and spare parts deliveries that compare with the best available. We try to make life as simple as possible for our customer – determine the need; tell them if we can satisfy it; execute the delivery. No frills, just basic common sense – but with a smile and a passion. 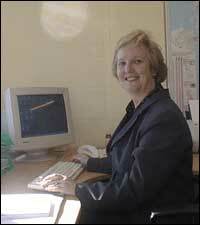 Barbara Jarman is an integral part of the service we provide. Having worked in the industry for over 15 years and having met many customers at trade shows, she is ideally qualified to deliver the levels of service that meet customer aspirations. She is highly experienced and understands the needs of professional users to identify the right part and get it to them quickly. Using respected national parcel carriers we can deliver most orders the day after they are received, thereby minimising user downtime. One of our most sought after products is the Atom Bunker Edger. The inclusion of this in our portfolio is the result extensive investigation, culminating in an exclusive distribution agreement with Atom Industries of Australia. This has proved to be an excellent relationship that admirably demonstrates our desire and ability to provide customers with the right product at the right time and with an integrity that builds trust. Why not try some for yourself?